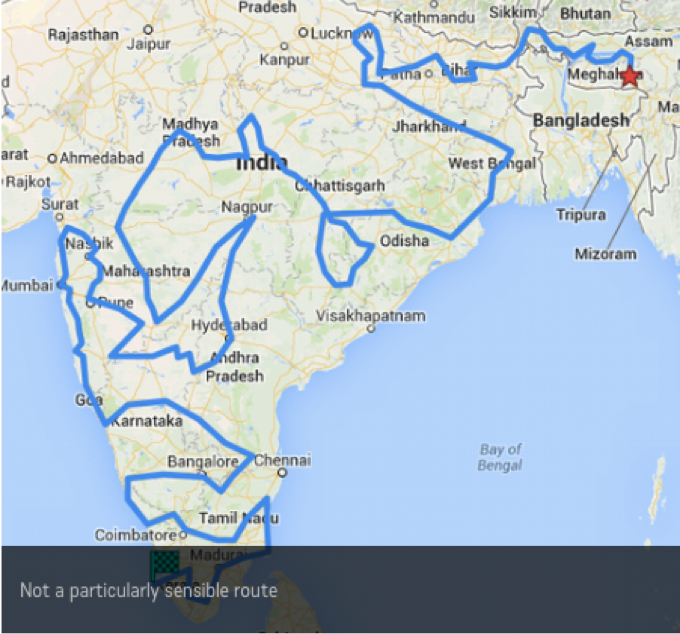 Goats on the Road Posts » Travel Blogs » Southern Asia » India » The Rickshaw Run – When Was Your Last Adventure? Imagine yourself in the countryside of rural India. Over the past few days you have visited the Taj Mahal. You have ridden a yak, eaten Paav Bhaaji, drank Rooh Afza and loved them all. You saw parts of India that 99% of the tourists will never see, and you cruised into a village in the rural mountains (whom had never seen a Westerner before) and they were ecstatic to meet you. 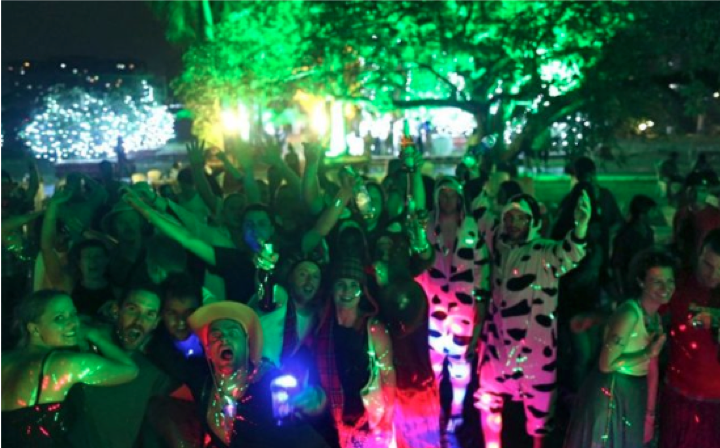 And you did it all in a Rickshaw….for charity. This is the Rickshaw Run, and is quite possibly one of the most ridiculous things you can do with your travel time. But, without a doubt it will be one of the grandest adventures you will ever go on. 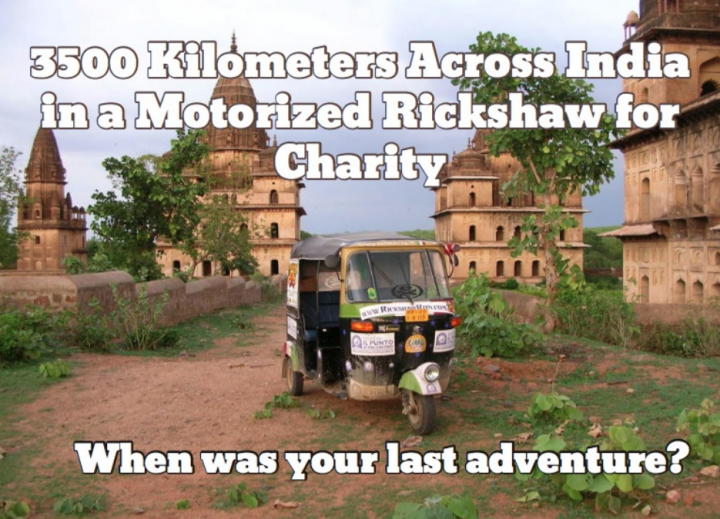 It is 3500 kilometers, a little over 2 weeks in a 7 horsepower motorized rickshaw. You and dozens of others each get a team of 2-3 people, your own beat up rickshaw and 15 days to cross the country of India. It has no set route, no back-up, and no real plan. The only certainty is that you will get lost, you will get stuck and you will break down. That IS the adventure. craziness the road throws at you. At each end of the Run is a party of earth shattering proportions but, what is between them is all down to you. In August of 2015, fellow world traveler Chris Reynolds with The One Effect is putting together teams of super adventurous travelers to participate in the Rickshaw Run. This adventure is a test…a big one. It is for the most adventurous! This trip will be one of those memories that make you smile when you are 90 years old reviewing how you lived your life. A big grin will come across your face when your grandchildren ask you about India and you will know that it was one of the most unbelievable journeys that you ever took. It is not for the lighthearted. If you see the video and know this is not for you, then please don’t inquire. If you see the video and you feel a rush of electricity in your body….you are the people we want. We want those that will shine and not whine on an adventure like this. 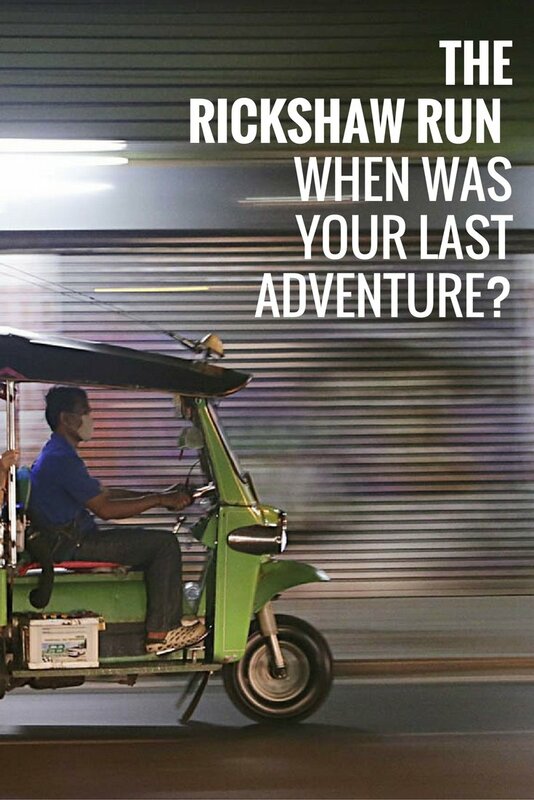 The Rickshaw Run begins on August 2, 2015. When you arrive at the starting point you will have 2 days to learn how to drive this ridiculous thing, route your course, meet your team members, and pimp your rickshaw (fix it up). There will be a pre-party on the 4th of Aug. and the next morning all the teams will shove off into the vast unknown of India. Fifteen days later you will find yourself (hopefully) at the finish line with all the other contestants and teammates. There will be an award ceremony and a final closing party. Awards will be given, however, this is not a race. In fact, an award is given to the team that finishes last, due to the fact that they got to see more than the other teams. This is an experience, one to be enjoyed and endured one day at a time. Have the adventure of a lifetime. That’s right, this is a charity mission. Each team has to raise $1,600 USD for a non-profit. Half will go to coolearth.org to save the Amazon. The other half will go the to charity of your choice. What’s the benefit of teaming up with Chris and The One Effect teams? 1. To team up and travel with people that you know will endure this trip excellently! -Ever traveled or got stuck with the fickle or annoying traveler? You know the person that had never traveled to a new country and freaks out about everything. It is true that a drop of oil will poison a glass of water. Each person that is teaming up with The One Effect will be personally interviewed to see if they are the caliber of person that will be welcomed to travel with us. 2. Be with super travelers and global entrepreneurs. -The One Effect is also putting together teams of global entrepreneurs. Mainly because birds of a feather flock together. We will all be a group of fantastic people, a group worth getting to know personally and networking with. Imagine creating businesses or partnerships while on a rickshaw in the middle of India….does it get better than that? If you fancy an adventure like this the next step would be to contact the crew at Goats on the Road. They will link you up with The One Effect team and the details about costs, visas, travel expenses, exact itinerary and any type of questions you may have. Gear up and get ready for a trip that will absolutely blow your mind! This is something that is definitely on our Travel Bucket List! What an adventure it would be. For more information and to sign up for this awesome event, click here! Like this Post! Pin it! Ah this is so cool guys and has been on our list for quite some time! My better half grew up in India but we have not travelled that much in India yet even though we spent a lot of time there. Next year it will not fit into our travel schedule as….tada……we are adding a tiny travel buddy to our family 😉 But we might be in India as well and if we can help you with anything or any contact, we are happy to do so. Wishing you all the luck in the world with the adventure!! Isn’t India such a fantastic country?! I guess not independently 🙁 But if you join the Rickshaw Run, they sort it all out for you! We don’t like to travel fast either, especially in India, but to do this race/run I think would be hilarious. Definitely a wild ride 🙂 Think it’s something you’d like to try?! haha, us too! I would want to travel India the way we love to – slowly – and then hop in a rickshaw and rip around on the run! My husband did this a few years ago and had the time of his life! I had only just met him at the time and spent every day frantically wondering if he was still alive and he has a whole collection of crazy and fun stories from the experience – probably one of the best things he’s ever done but I agree – definitely not one for the faint hearted! I can imagine his stories are fantastic. Thanks for sharing! Happy New Year! I think in Asia India is the best country fro traveling but it has some problem, india is not safe for women traveling as far i know. India is one of the most fascinating countries we’ve ever been to. You are correct that it’s not the safest place for female travellers, but having said that, we know many women who travel there and have no issues! I was fine except for being stared at. One needs to be more cautious here though for sure. So I was considering doing the Rickshaw Run this coming winter on January 1st 2016! Its been a dream of mine to accomplish this. SO my question is besides a plane ticket, how much did you guys spend? Is there anywhere you posted a breakdown of your costs? I am trying to do this to not only raise money for the Adventurists Cool Earth but I want to also raise money for a Hospice here in New Orleans called Angel’s Place for Terminally Ill Children. But I am not sure if I can afford the starting costs! PLEASE HELP!